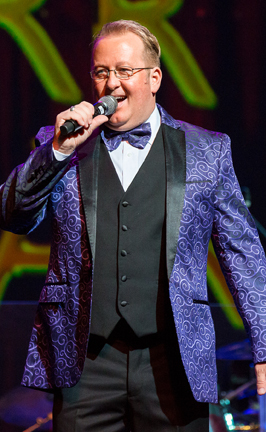 The Starlite Theatre became the perfect venue last Sunday night as Branson entertainers arrived in black limos and walked the red carpet before a lobby crowded with cheering fans. “This is not a competition but a salute,” explains Terry Beene, creator of the Branson Terry Awards. Nominations are developed by an anonymous committee. Voting takes place the same way. Backstage was a flurry of last-minute scheduling changes punctuated by quick group selfies and hugs. Emotional moments were many, as were surprises. Kelli Roberts Riley, dancer with Silver Dollar City’s Cajun Connection and widow of beloved comedian Joey Riley, co-presented Comedian of the Year with last year’s winner, Terry Sanders. 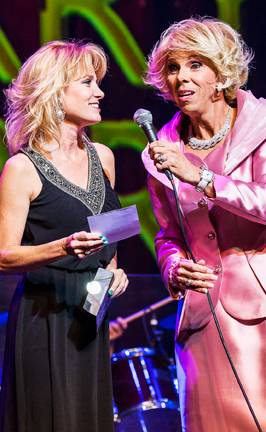 Sanders presented while appearing as the late Joan Rivers. An emotional Tamra Tinoco of The Magnificent Seven accepted Female Vocalist of the Year. Jason Pritchett, still riding the country charts with his rodeo-infused single, Good Show, recieved Male Vocalist of the Year. 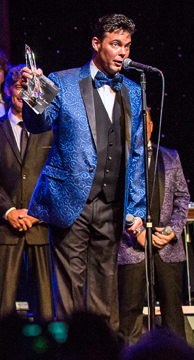 Statler Brothers Revisited (Roy Morris, Jamie Layton, Cody Boggs and Mike Walker) were surprised with there well-deserved win of Vocal Group of the Year. Perhaps even more encouraging was the support showed by fans. Early in the evening, buses began pulling up out front, disgorging tourists ready for a night of live entertainment. Familiar faces were many as Branson neighbors and friends arrived, hugging entertainers and one another. In short order, the Starlite’s expansive seating was full nearly to capacity. 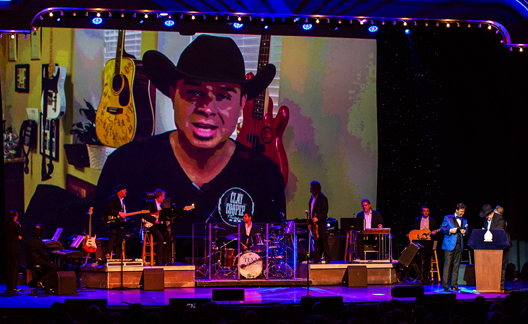 Ably emceed by veteran entertainers Mike Patrick and Jamie Haage, the three hours were fast-paced, regularly interspersed with songs by some of Branson’s best. Without a doubt, the Branson Terry Awards grew up this year. 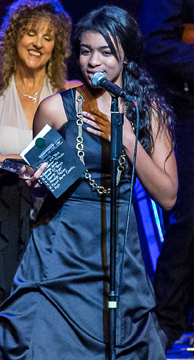 Nadia (of Ayo Voices of Glory) accepts Morning Show of the Year Award. 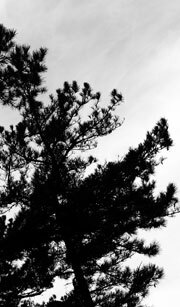 Photo by Beckie Fairchild. Mike Patrick accepts Show of the Year as the cast for Grand Jubilee look on. The Grand Band wowed the audience throughout the evening while Patrick and Jamie Haage, both of Grand Jubilee, were emcees. Photo by Beckie Fairchild. 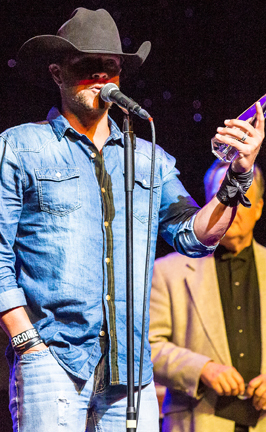 Clay Cooper responds to winning Entertainer of the Year. Photo by Beckie Fairchild. 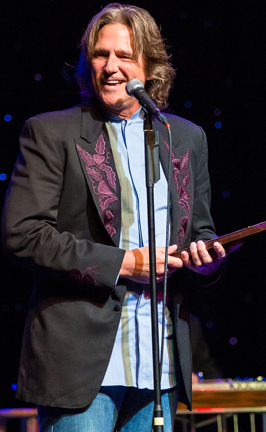 Billy Dean accepts the Lifetime Achievement Award. “A string of great hits does not a great show make,” he noted. “A great show is made by a great team.” Photo by Beckie Fairchild. “Terry Beene, you’re a dead man,” joked a surprised Chisai Childs as she was called on stage to accept the Open Heart Award. Photo by Beckie Fairchild. 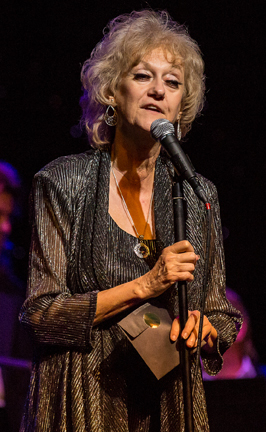 Many of this year’s presenters were last year’s winners. 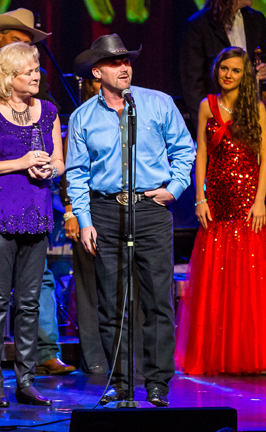 Here, 2014 Fiddle Player of the Year Wayne Massengale announces Amy Dutton as fiddle player of 2015. Photo by Beckie Fairchild. 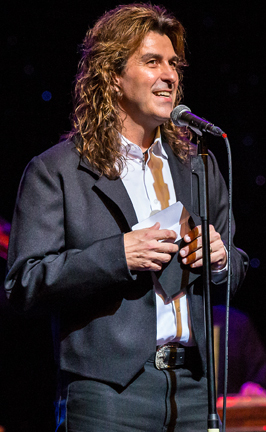 Jason Pritchett accepts Male Vocalist of the Year. Photo by Beckie Fairchild. Barry Williams (left) accepts Matinee Show of the Year as Hailey Westrich looks on. 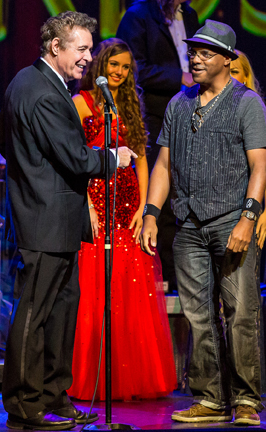 At right, Dino Phillips, drummer of the year. Photo by Beckie Fairchild. 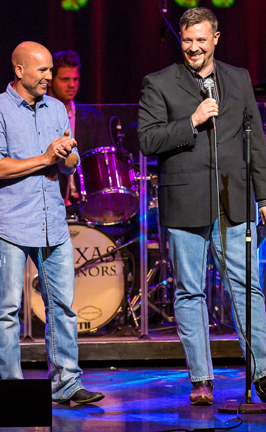 Robbie Blackwood (left) and Joshua Heston prepare to announce Drummer of the Year, Dino Phillips Photo by Beckie Fairchild..
Jamie Haage sings Rhinestone Cowboy, a fitting tribute to Glen Campbell. Photo by Beckie Fairchild. Kelli Roberts Riley and Terry "Joan Rivers” Sanders provide a poignant moment as the Comedian of the Year is announced. Photo by Beckie Fairchild. Gordy Wensel with Debbie Kaye accept Vocal Duo of the Year. 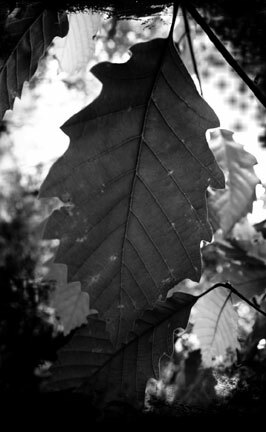 Photo by Beckie Fairchild.